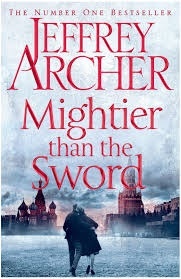 I would like to read Mightier than the Sword by Jeffrey Archer. This is is the fifth exciting Installment in the Clifton Chronicles and follows on from the Fourth Installment “Be Careful what you Wish For” and features the ongoing saga of the rival Clifton and Barrington families. It opens with Author Henry Clifton who is now President of the English PEN launching A campaign for the release of fellow author Anatoly Babakov, however in doing so he unwittingly puts his own life in danger. Elsewhere an IRA bomb explodes aboard the Ocean Liner MV Buckingham during her maiden voyage across the Atlantic Ocean and Unfortunately Harry’s wife Emma is aboard. Then In dealing with the repercussions of the explosion she crosses swords with Lady Victoria Fenwick, who will stop at nothing to cause Emma’s downfall. Meanwhile Sir Charles Barrington is now Minister of the Crown, unfortunately though his latest official trip to Berlin becomes a diplomatic nightmare. Elsewhere Back In London Harry and Emma’s son Sebastian starts work at Farthing’s Bank where he quickly makes a name for himself. However his rival, the villainous Adrian Sloane decides to do whatever it takes to remove Sebastian once and for all. 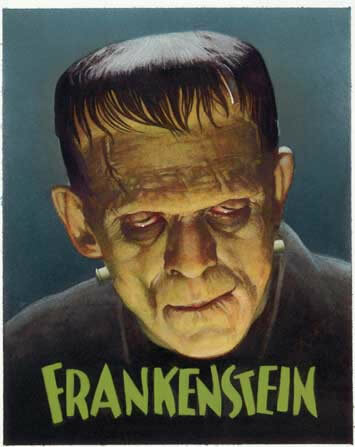 Best known for her Gothic novel Frankenstein or the modern Prometheus, the English Novellist, short story writer essayist, biographer and travel writer Mary Shelley (née Wollstonecraft Godwin) was born 30 August 1797. She also edited and promoted the works of her husband, the Romantic poet and philosopher Percy Bysshe Shelley. Her father was the political philosopher William Godwin, and her mother was the philosopher and feminist Mary Wollstonecraft, who died when her daughter was eleven days old, so she and her older half-sister, Fanny Imlay, were reared by her father. Upon their return to England, Mary was pregnant with Percy’s child, who tragically died prematurely. They married in 1816 after the suicide of Percy Shelley’s first wife Harriet. Sadly the marriage was dogged with tragedy, their first second and third children died before Mary Shelley gave birth to her last and only surviving child, Percy Florence. Then n 1818 The Shelleys left Britain for Italy, sadly In 1822, her husband drowned when his sailing boat sank during a storm near Viareggio. year later, Mary Shelley returned to England and from then on devoted herself to the upbringing of her son Percy and a career as a professional author. During 1840 and 1842, mother and son travelled together on the continent, journeys that Mary Shelley recorded in Rambles in Germany and Italy in 1840, 1842 and 1843 (1844). In 1844, Sir Timothy Shelley finally died at the age of ninety. In 1848, Percy Florence married Jane Gibson St John. The marriage proved a happy one, and Mary Shelley and Jane were fond of each other. Mary lived with her son and daughter-in-law at Field Place, Sussex, the Shelleys’ ancestral home, and at Chester Square, London, and accompanied them on travels abroad and in order to fulfil Mary Shelley’s wishes, Percy Florence and his wife Jane had the coffins of Mary Shelley’s parents exhumed and buried with her in Bournemouth. In the mid-1840s, Mary Shelley found herself the target of three separate blackmailers. In 1845, an Italian political exile called Gatteschi, whom she had met in Paris, threatened to publish letters she had sent him. Shortly afterwards, Mary Shelley bought some letters written by herself and Percy Bysshe Shelley from a man calling himself G. Byron and posing as the illegitimate son of the late Lord Byron and Percy Bysshe Shelley’s cousin Thomas Medwin approached her claiming to have written a damaging biography of Percy Shelley. Mary Shelley’s last years were blighted by illness. From 1839, she suffered from headaches and bouts of paralysis in parts of her body, which sometimes prevented her from reading and writing. She died On 1 February 1851, at Chester Square, at the age of fifty-three from what her physician suspected was a brain tumour. According to Jane Shelley, Mary Shelley had asked to be buried with her mother and father; but Percy and Jane, judging the graveyard at St Pancras to be “dreadful”, chose to bury her instead at St Peter’s Church, Bournemouth, near their new home at Boscombe.On the first anniversary of Mary Shelley’s death, the Shelleys opened her box-desk. Inside they found locks of her dead children’s hair, a notebook she had shared with Percy Bysshe Shelley, and a copy of his poem Adonaïs with one page folded round a silk parcel containing some of his ashes and the remains of his heart. The International Day of the Disappeared is held annually on August 30 to draw attention to the fate of individuals imprisoned at places and under poor conditions unknown to their relatives and/or legal representatives. It was founded by the Latin American Federation of Associations for Relatives of Detained-Disappeared (Federación Latinoamericana de Asociaciones de Familiares de Detenidos-Desaparecidos, or FEDEFAM), a non-governmental organisation created in 1981 in Costa Rica as an association of local and regional groups actively working against secret imprisonment, forced disappearances and abduction in a number of Latin-American countries. Work on secret imprisonment is an important part of the activities for a number of international bodies and organizations in the fields of human rights activism and humanitarian aid, including for example Amnesty International (AI), the Office of the United Nations High Commissioner for Human Rights (OHCHR) and the International Committee of the Red Cross (ICRC). The International Day of the Disappeared is an opportunity to highlight these institutions’ work, increase public awareness, and to call for donations and volunteers. Of those agencies, the ICRC has additional privileges and a strict policy of neutrality. In some cases, the ICRC is the only institution granted access to specific groups of prisoners, thereby enabling a minimum level of contact and inspection of their treatment. For affected families, messages transmitted by the ICRC are often the only hint about the fate of these prisoners. Visiting those detained in relation to conflicts and enabling them to restore and maintain contact with their families, is a very important part of the ICRC’s mandate. But the definition of the Missing or the Disappeared goes far beyond the victims of enforced disappearance. It includes all those whose families have lost contact as the result of conflicts, natural disasters or other tragedies. These missing may be detained, stranded in foreign countries, hospitalized or dead. Through its tracing services and working with the 189 national Red Cross and Red Crescent Societies around the world, the ICRC seeks to obtain information about their fate on behalf of their families. It reminds governments and other groups of their obligations to respect the families’ right to know the fate of their loved ones. It also works with families of the missing to help them address their particular psychological, social legal and financial needs. Imprisonment under secret or uncertain circumstances is a grave violation of some conceptions of human rights as well as, in the case of an armed conflict, of International Humanitarian Law. The General Assembly of the United Nations adopted a Declaration on the Protection of all Persons from Enforced Disappearance as resolution 47/133 on December 18, 1992. It is estimated that secret imprisonment is practiced in about 30 countries. The OHCHR Working Group on Enforced or Involuntary Disappearances has registered about 46,000 cases of people who disappeared under unknown circumstances. On August 30, 2007, hundreds of Philippine relatives and supporters of desaparecidos, mostly activists, missing after being abducted or killed by Philippine security forces protested against the government to mark International Day of the Disappeared. Edita Burgos remembered her missing son, Jonas, a member of the Peasants’ Movement of the Philippines. On August 30, 2008 the International Coalition against Enforced Disappearances, which gathers family member organizations and human rights organizations from around the world, joined hands for a global campaign event to promote the ratification of the International Convention for the Protection of All Persons from Enforced Disappearance.